Multiple roundabouts. 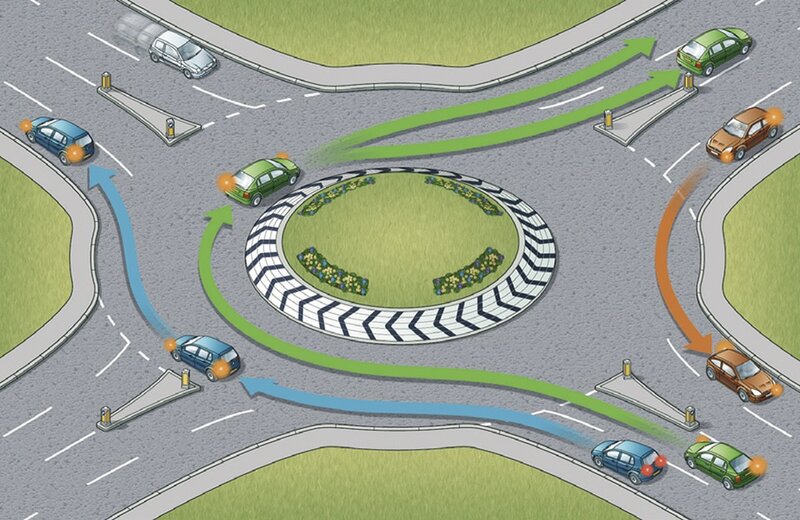 At some complex junctions, there may be a series of mini-roundabouts at each intersection. 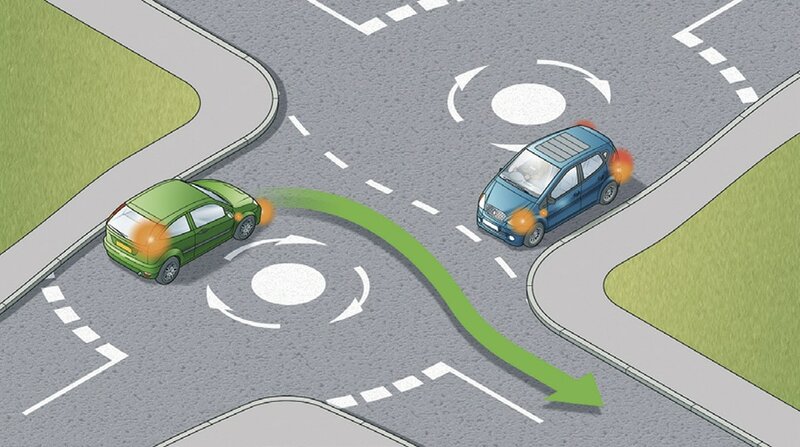 Treat each mini-roundabout separately and follow the normal rules.